Cornelius Weitzmann is to be appointed as Managing Director of the Power, Oil & Gas business division at Voith Turbo GmbH & Co. KG., effective April 1, 2015. He will be taking over from Matthias Grawe, who is leaving the company on March 31, 2015. 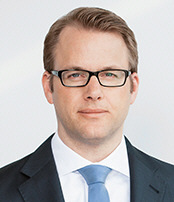 Weitzmann (38) initially joined strategic planning at Voith in 2007 after working at a well-known German consultancy firm. In 2009, he became Managing Director at Voith Paper Inc. in Appleton, USA. In 2011, he was appointed President of Fabric & Roll Systems EMEA. "The oil and gas business is one of our most important growth industries," says Carsten Reinhardt, Chairman of the Management Board at Voith Turbo. "With his comprehensive strategic experience, Cornelius Weitzmann is well-positioned to continue to strengthen our international success and develop new fields of business." The Voith Turbo Division Power, Oil & Gas develops and manufactures variable speed drives, couplings, valves and controllers. The products are used in the delivery and transport of oil and gas, in chemicals and petrochemicals and in the field of power generation. The Division also includes the well-known Voith Marine Technology, with systems such as the Voith Schneider Propeller or the innovative Voith Linear Jet. Voith sets standards in the markets energy, oil & gas, paper, raw materials and transportation & automotive. Founded in 1867, Voith employs more than 39 000 people, generates €5.3 billion in sales, operates in over 50 countries around the world and is today one of the largest family-owned companies in Europe.